The sewer line that runs from your house to the main sewer line is your responsibility so if it gets clogged, blocked or gets a hole in it, you’re required, as the homeowner, to find someone who can fix it. When sewer lines are laid, big trenches are made in the yard to place them in and the traditional way of fixing the lines is to dig up the lawn, garden beds and anything else that might be over top of them to access the entire pipe. 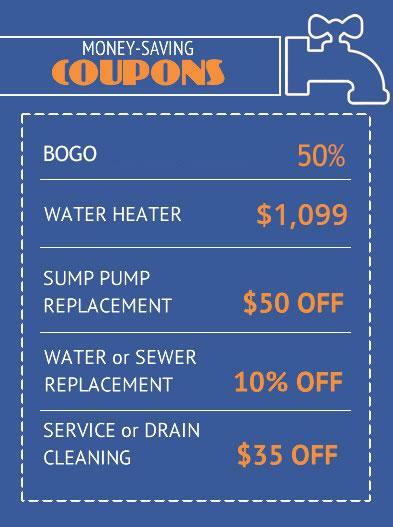 With our trenchless sewer line repair, there are only two small holes dug out at each end of the pipe for access. This means there is less damage to the property, it’s quicker because large trenches don’t need to be dug, and the High-Density Polyethylene pipe used is joint free preventing root intrusion and cracking common in traditional sewer pipes. During trenchless sewer pipe installation, our highly trained technicians use the Hammerhead® PortaBurst® PB30 G2 to hydraulically force the High-Density Polyethylene pipe through the existing pipe. The front end of the new pipe breaks away the old pipe in its tracks leaving the clay, concrete, iron or plastic from the old pipe unhazardously in the ground. Because PortaBurst systems only require two small pits, reducing the amount of excavation and associated surface disruption, and the High-Density Polyethylene pipes used last for 50 years, trenchless sewer pipe installation is considered an environmentally friendly process. The Hammerhead® PortaBurst® PB30 G2 is a rugged, portable, cost effective and efficient system for replacing 2″ to 6″ (50 to 150 mm) lateral pipes Unlike the pipe lining process, pipe bursting lets you install the same or larger size new HDPE pipe, in a minimum amount of time. The PortaBurst PB30 G2 features modular construction with 30 tons of pulling force. Designed to run at 3,000 psi the system can be powered by a backhoe, compact excavator or any other portable hydraulic power pack. PortaBurst systems require small pits, reducing the amount of excavation and associated surface disruption, resulting in an environmentally friendly project.